The Cihan news agency reported that Antalya was the third-ranked choice for football tourism in 2014 and brought 400 million euros into the country. A staggering 2,500 teams, ranging from youth national teams to major international clubs and lower division teams, traveled to Antalya to train last year. This is a rise over recent years, when the number of teams frequently fluctuated between 1,200 and 1,300. 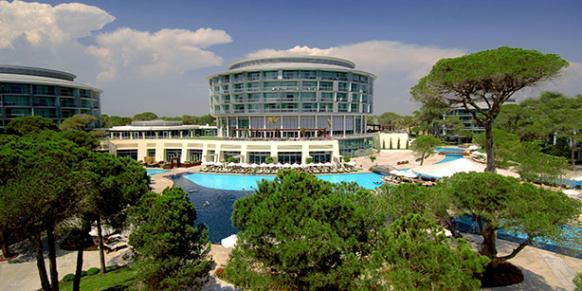 Teams from across Europe and Asia make Turkey, specifically Belek in Antalya, one of their top choices for the mid-season break. While Belek is the biggest name, many teams travel to Kundu, Kemer or Alanya. 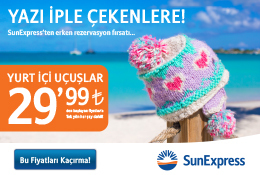 Antalya obliges them with its natural advantages: The southwestern coast of Turkey has especially mild winters. But on top of that, Antalya has made a concerted effort in the realm of sports tourism. In the summer, the province's luxurious beach resorts attract leisure tourism, but in winter they host between 1,000 and 3,000 football teams seeking choice accommodation and favorable conditions. Some of the resorts also maintain their own football pitches. In total, the province maintains more than 400 football pitches, and continues to develop more to encourage the trend. The newest facility is the 10.5-hectare Gloria Sports Arena. Numbers fluctuate, but they are always among the top in the world for football training camps. Antalya's main competitors for training tourism include Spain and Dubai. Football's main competitor for sporting tourism in Antalya is golf. Joining other clubs from around the globe is another reason to come to Turkey for training. Besides the vast possibilities for friendlies, the coast is also home to a number of mini-tournaments. These tournaments come and go based on sponsorship. They are an important incentive for clubs, as they offer prize money and matches are included in betting sites. The increased club interest then helps attract a wider audience to experience tourism in Turkey. Two years ago, media reported that Antalya had faltered in winter football tourism due to its unregulated growth. Unlicensed and under-experienced agencies began to offer packages, facilities were overused and numbers tapered off. But it looks like Antalya has overcome the setback, if the current numbers are anything to go by. As long as the Mediterranean city keeps up with the expansion and maintains high facility standards, the weather will keep drawing clubs in, all winter long.